At Tradesmen International, our skilled staffing services are designed to fill the gaps in your core workforce. Whether you are looking for proven, safety-minded craftsmen to help with a short-term project or skilled construction professionals to complement your core workforce during a large, peak-season project, Tradesmen International offers the skilled workforce needed to ensure the job gets done right, at the highest productivity. 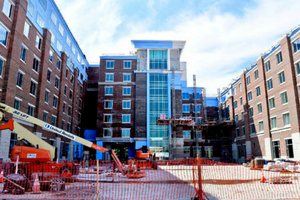 Tradesmen supplied skilled craftsmen to work on student housing for the University of Tennessee. Founded in 1794, UT serves the state by educating its citizens, enhancing its culture and making a difference in people’s lives through research and service. Tradesmen provided skilled craftsmen to work on the Tennessee Riverpark, the highlight of Hamilton County’s park system. The Riverpark offers visitors boat ramps, fishing piers, picnic facilities, public art installations, the scenic Riverwalk and much more. Tradesmen provided more than 20 electricians to help install Chattanooga’s first community solar share project. 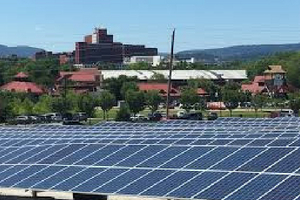 The installation consists of 4,408 solar panels with a total output of nearly 1.4 megawatts of power. 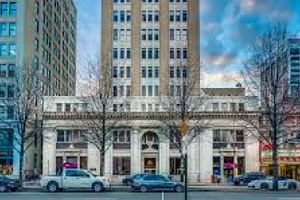 Tradesmen’s Chattanooga and Memphis offices teamed up to supply skilled craftsmen to work on the renovation of Chattanooga’s landmark Maclellan Building, which now offers a collection of stylish apartments honoring downtown Chattanooga’s historic integrity. At Tradesmen International, all of our workers undergo an extensive interview and skills evaluation process before they are ever allowed to set foot on a Chattanooga area jobsite. In addition, they are each offered an OSHA 10-Hour safety training course and are subject to regular client satisfaction evaluations. Because these workers are employed by us, you receive the same level of quality you would expect from your permanent workforce – all without incurring typical labor costs, like unemployment, benefits and payroll expenditures. With local offices strategically located in cities across Tennessee, including Chattanooga, Memphis, Knoxville and Nashville, you can count on Tradesmen to deliver a skilled construction staffing solution based directly on your jobsite location, company needs and industry requirements. 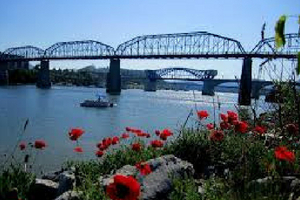 Contact us today to learn more about your skilled construction staffing options in Chattanooga, Tennessee. Find skilled craftsmen in Chattanooga.